In this part of our series, we highlight more East Asian destinations to see these beautiful flowers. We certainly are spoiled for choice with so many places to go. 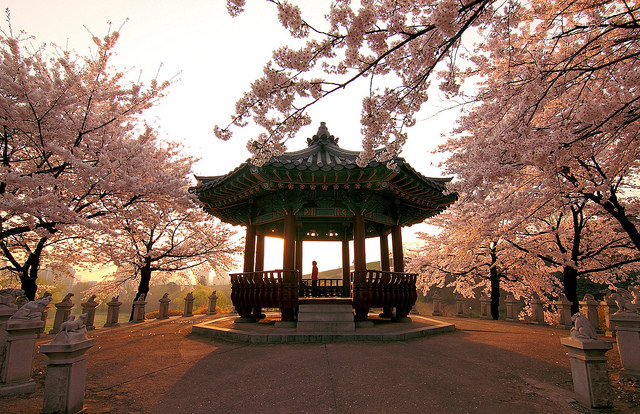 Built to house the 1988 Summer Olympics, Seoul’s Olympic Park is another great place to view cherry blossoms. It’s a lovely place to have a picnic at during the Cherry Blossom Festival. How to get there:Take the subway to Olympic Park Station, which is on Line 5 and make your way out from Exit 3 to enter from the park’s entrance. 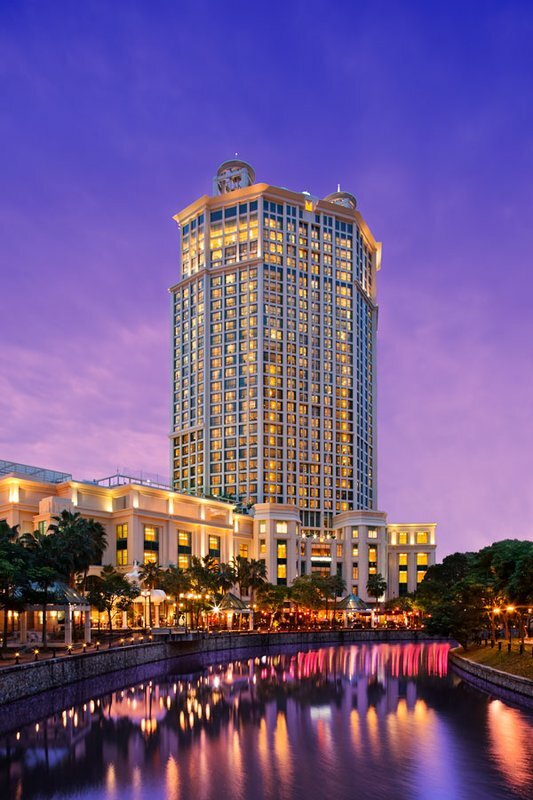 When to go: Head down during 4-6 April. Although Sweden isn’t known for its cherry blossoms, the Kungsträdgården in Stockholm is a fun and great way to experience the city as well as its beautiful flora. The park is also the place for events, concerts, and is a breezy place to chill at. How to get there:This park is easy to find–the Kungsträdgården metro station is a stop away from the central railway station. When to go: Fly down in late April to enjoy them. 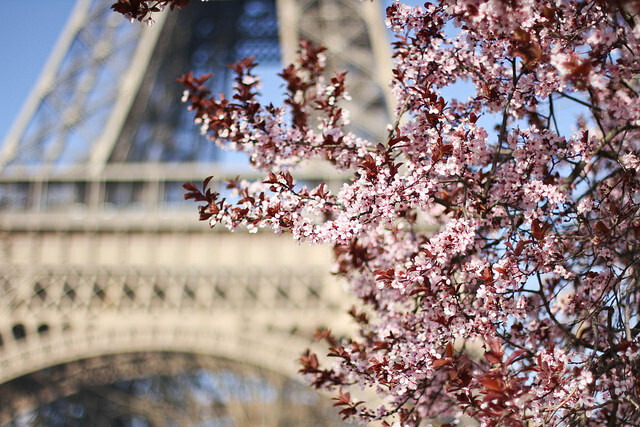 The City of Love can do no wrong–we couldn’t help but think that viewing its cherry blossoms there would be perfect for couples. It is also a short distance away from the Eiffel Tower, and you can head to nearby cafés or stroll along the Champs Élysées once you’re done. How to get there:Subway stations nearby the Eiffel Tower are the Ecole Militaire on Line 8 and Bir-Hakeim on Line 6. When to go: From mid to late April. 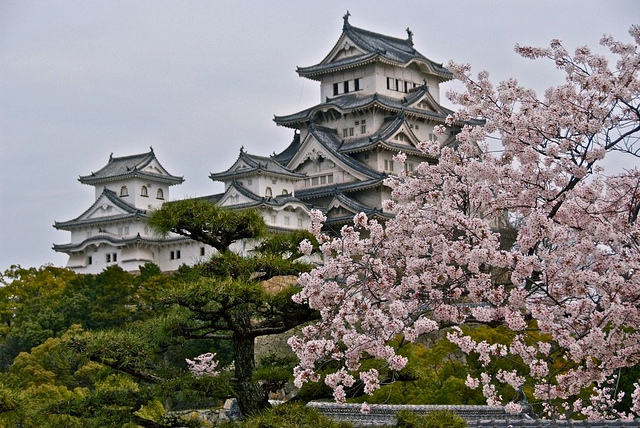 Located in western Hyogo, the Himeji Castle was built in the middle of the 14th century by Toyotomi Hideyoshi. The feudal lord Ikeda Terumasa remodelled it in the 17th century. This place is now a UNESCO World Heritage site and National Treasure that also hosts an annual Cherry Blossom Viewing Fair. How to get there: Head there from Tokyo to Himeji via the JR Tokaido Sanyo Shinkansen. If you’re coming from Osaka, use the JR Sanyo Line’s special rapid service. When to go: Late March to early April. 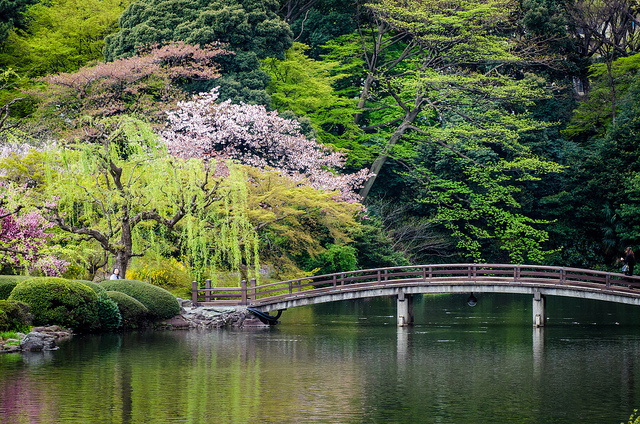 The Shinjuku Gyoen Garden is definitely the place to head to when catching some of these beautiful cherry blossoms. It was also the samurai residence of the Nairo family, making this picturesque place even cooler. 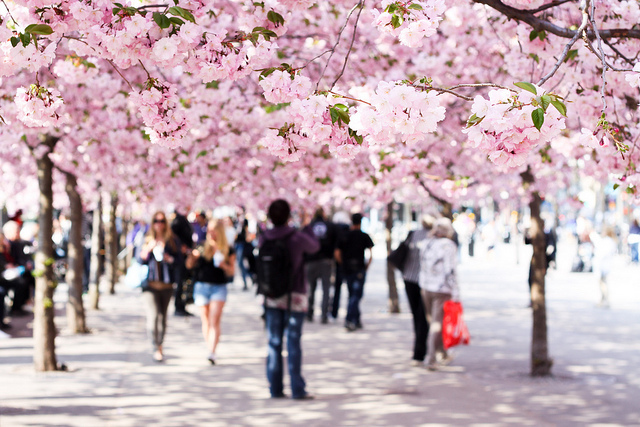 Fun fact–its cherry blossom trees have been around since the Meiji era. How to get there: Enter from the Shinjuku Southern Terrace, which is past a Krispy Kreme. Turn left after passing it and use the bridge over the train tracks to get there. When to go: According to Japan Guide, the best time to view them this year is from 29 March to 6 April.